This message is about farmers. I am currently in Washington, while Dan is hunting in Colorado, so I thought this was a perfect opportunity to put in a good word about farmers and ranchers. First, here is the difference between a farmer and a rancher…a farmer grows crops and may or may not have livestock, meaning most farmers raise cattle too, but a few do not. A rancher is someone who just has livestock and buys the feed from farmers to sustain the livestock. So, basically, farmers are the bread and butter of America and also grow surplus to send overseas to the world trade market. Growing up a city girl I ventured as far as my local grocery store to pick up all the produce and meat I needed. I’d pick over the strawberries boxes to find the one I thought was the best without a thought to the farm workers straining their backs to pick them. When I was older and had grandkids it was an adventure to go berry picking for what ended up being about 30 minutes and I was done. And what about those balls of cotton we women use to remove makeup or nail polish. 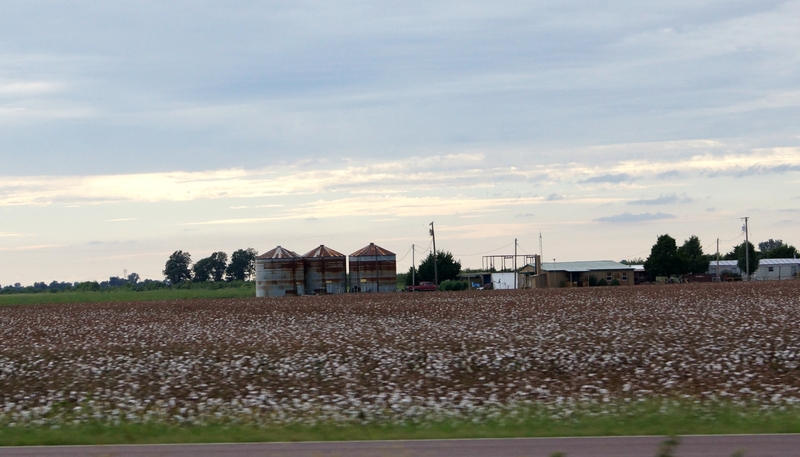 Yes, those are cotton fields. Everything we consume, and some things we don’t come at the sweat and work of some of the hardest working people you will ever meet. I never truly understood this lifestyle until I married a farm boy, because my life was built on conveniences. Wow, my perception has changed. Dan grew up farming and was driving farm equipment almost as soon as he was out of diapers. Every morning he was up just before dawn, did farm chores, went to school, came home for more chores, ate dinner, then worked at the evening chores until he was sent to bed…tired and physically tapped. Then he got up and did it all again the next day. That is life as a farmer. When school was out for the summer that just meant they worked the fields and livestock all day. When we are in the UP (Upper Peninsula of Michigan) we spend time with people that he knows that still live this tough life. Why? Why would anyone choose such a hard way to make a living? The answer is simple – us. That’s right, for you and me. So when we go to the store we can choose a pound of hamburger for dinner, a dozen eggs for breakfast or baking, a loaf of bread for sandwiches, as well as great vegetables and fruits to satisfy our desires and not get our hands dirty doing it. We don’t have to wipe the sweat from our brow, push away a big heifer before she pushes you up against that barn door. 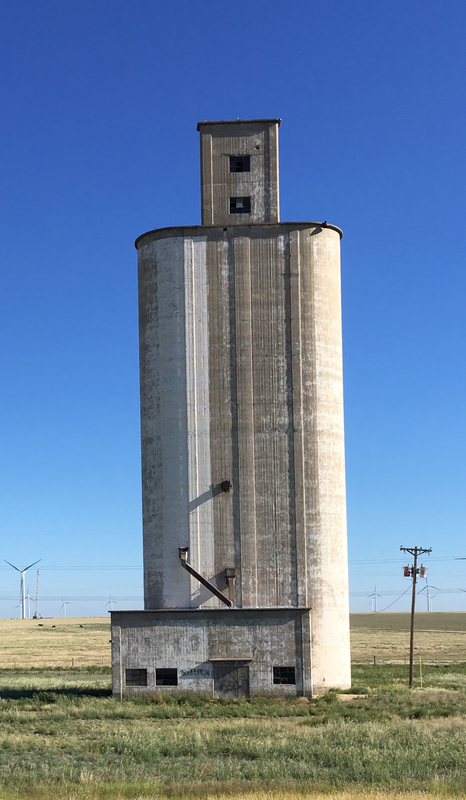 There are silos to hold grain and silage to feed all cattle. Everything has a purpose and nothing is wasted. I know we are all hard workers in whatever field we chose. And if our children are being taught responsibility by their parents I sure they have household or yard chores they are responsible for, at least I hope. But all the years of my career, I let it go at the end of the day…sure I had kids and a house to manage, but farming is 24/7…no sleeping in on Saturday or Sunday. And a farmers’ life isn’t only gaged by who they have to work the farm or the equipment they own or wish they owned to get the job done, they are also governed by the weather. Last year we witnessed flooding conditions in the UP that likely destroyed fields of potatoes, for instance. 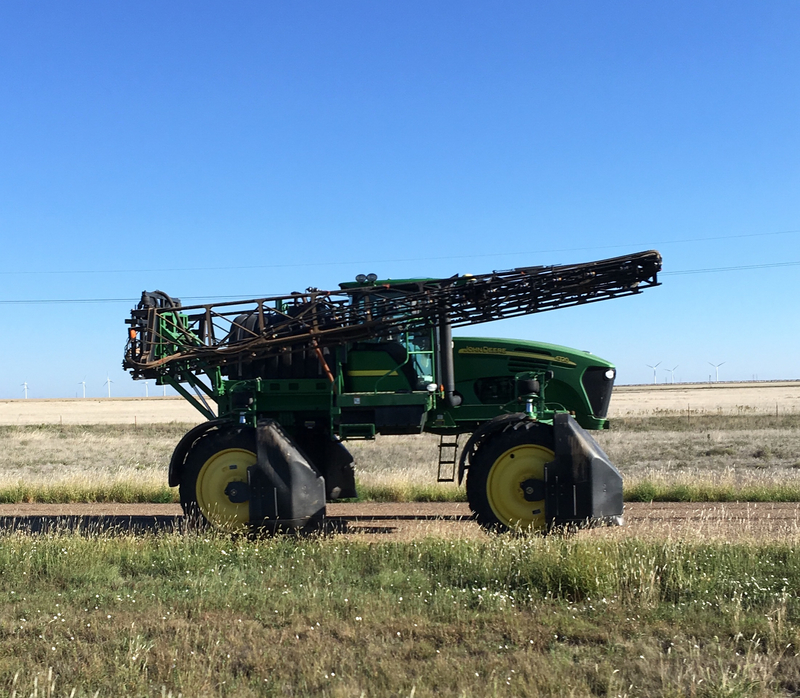 In some areas that get rain, farmers prefer to let Mother Nature supply the rain for growth, but when she’s dumping on them it can be too much. Over the years of talking to Dan, and others about farming and ranching my appreciation has grown tenfold. I love watching a side rake that wind-rows the hay while the bailer follows behind making neat rounds. It’s all fascinating and important at the same time. I just wanted to share this life with you so you too could smile when you pick up that head of lettuce, or steaks for the grill, or even compare apples to oranges. I hope if you ever get a chance to meet a farmer or rancher that you will take time to thank him or her…heck, just go ahead and give them a hug while you’re at it. Let them know that you would starve without them and you are grateful for the hard work they do. Thank you to all the farmers, ranchers, and hired workers that keep the people of this great country feed…you are the best. 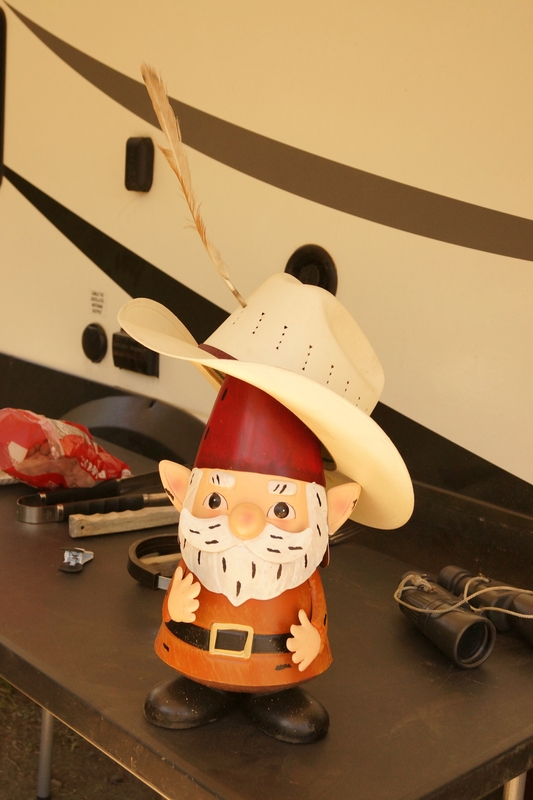 We rolled into Arizona and stayed at our friends RV camp – rightfully named “Flood Park” with all amenities. We loved being greeted by their friendly, smiling, and “happy to see you” faces. They are truly gems in our lives. The bonus was my sister, Robi, and her husband, David, who came up from Vail, AZ for a visit. It’s a good four hours from where we were, so they stayed overnight in Prescott Valley, about 30 minutes away. They drove over to the park and picked us up the first day and took us to Jerome, AZ. When we got up the mountainside, it was like you could see forever. 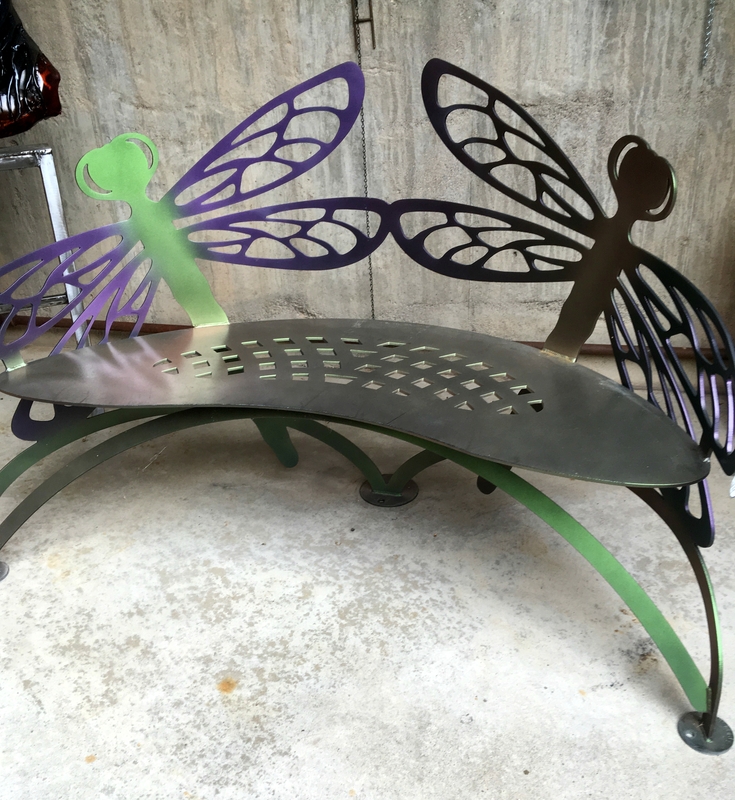 But what my eyes went to was this beautiful dragonfly bench …wow…how I would love it in my yard…wait, I don’t have a yard, I have wheels…for now anyhow…lol. David lived in Arizona for years and knew we would love this town. The shops are filled with beautiful art in all mediums available to an artist. I truly loved the kaleidoscope store. I have never in my life seen anything like it. There wasn’t one that I wouldn’t love to add to my collection (I only have two, signed by the artists, but that’s a collection…right?) – anyhow, it was amazing. We did a wine tasting in between enjoying the variety of art. The streets are windy and narrow so I would recommend traveling by car and not an RV. The next day they took us to Sedona, AZ. 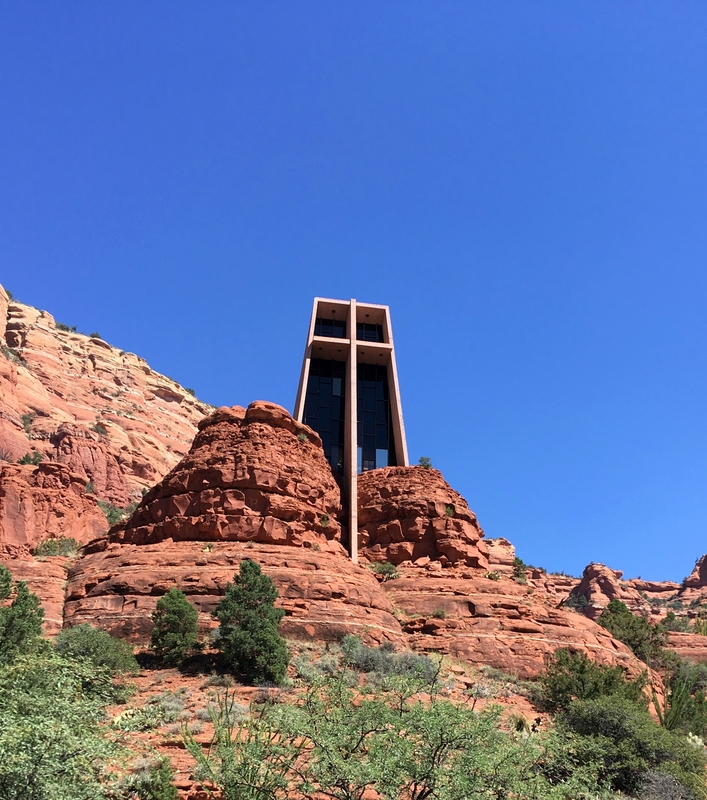 The first beauty was the Chapel of the Holy Cross. This city is so much larger than I imagined. It is not eclectic like Jerome, but still held a lot of variety for all art collectors. Truthfully, Jerome is more my style, but Sedona with its touch of class was fun, too. We only covered a small area of this city but were able to get a good idea of the artistic styles. We had such a great time with Robi and David, and it was sad to see them go. But that isn’t where the fun stopped. 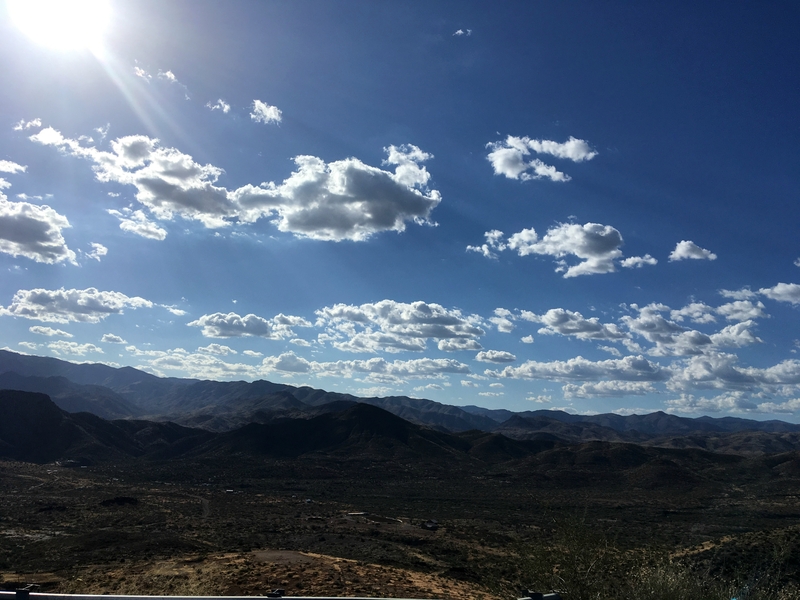 Our hosts, Bob and Crystal, took us on an adventure to an old mining town, Creator, AZ. 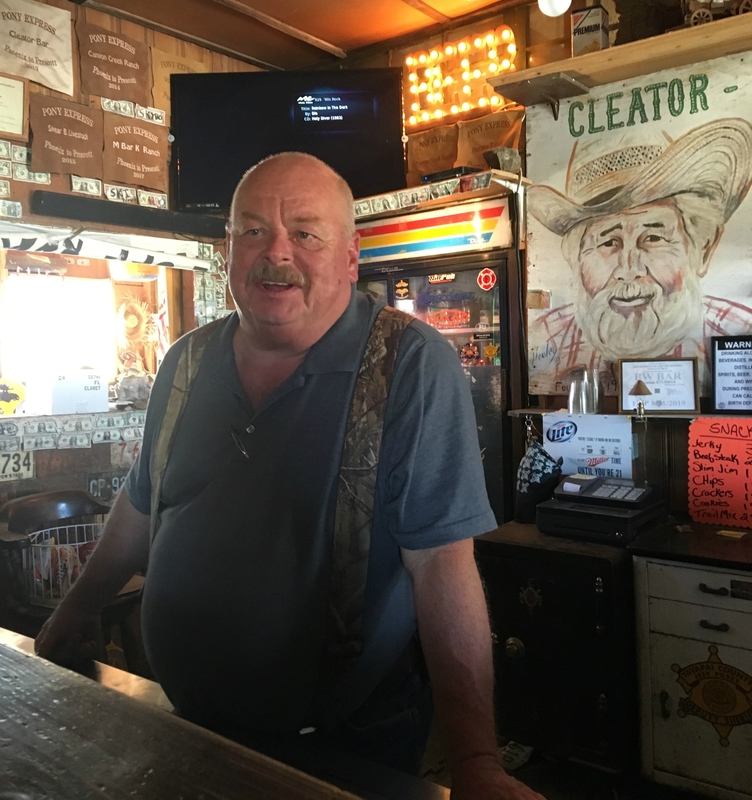 We stopped at the local watering hole, and I was saved from a huge wasp thanks to the barkeep, Bill, and his quick reactions. Then we went higher up the mountain to Crown King, AZ. Now, mind you neither of these towns was easy to get to…no paved roads. A lot was a switchback up the mountain but held vista views to capture your attention. Then it was lunch at a rustic restaurant/bar before heading back down the mountain. It was a week of great visiting with family and friends, and fun adventures. 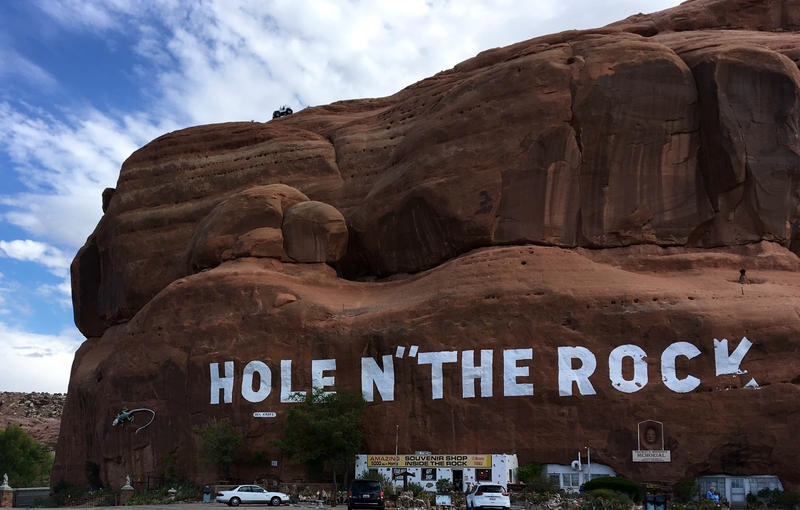 On our way to Colorado, we stopped at the famous “Hole N’the Rock. It has a wonderful story and you can tour the entire 5,000 sq foot house built into a rock. Then we ventured through Moab and were amazed at the beauty surrounding the areas along the way. 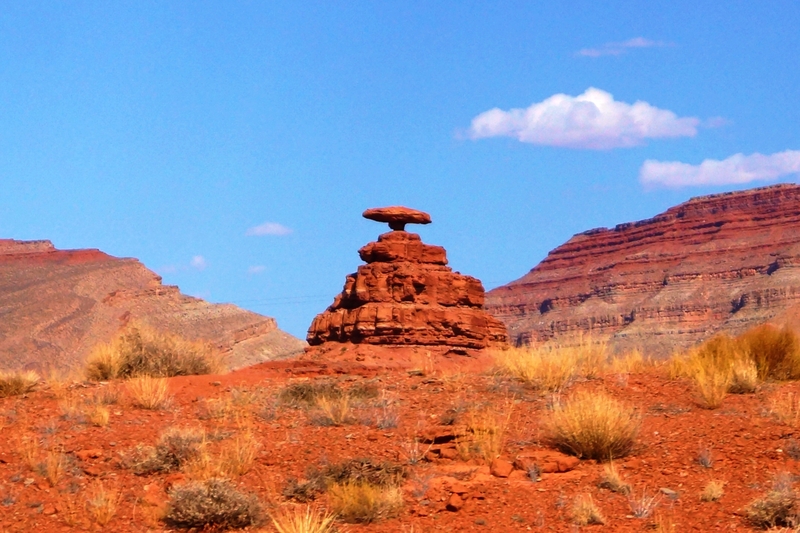 Including the rock called Mexican Hat found at the northern edge of the Navajo Nations borders in Utah. I’ll fly out of Denver to Washington to be with family and friends for a few weeks while Dan does his hunt in the Colorado mountains. Our travels continue to intrigue, entertain, and at times it all blends together, but Dan and I love our time together investigating what this great country has to offer. A big thank you to all who made our adventures fun and exciting…love you. I always wanted to go to Paris, but it wasn’t quite what I had in mind when I landed in Paris, Texas…lol. Dan and I have friends that moved from Colorado back to Texas about a year or so ago. We spent three nights at a great RV campsite about a mile from their home. 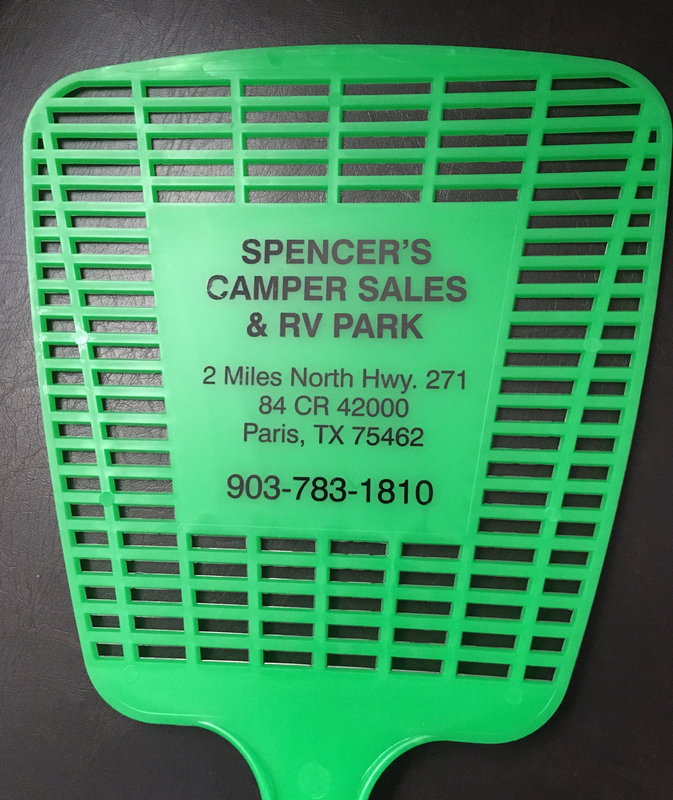 We were grateful when we received a business card from the RV camp office – yep, a fly swatter and wow was it needed. It almost became a competition between Dan and me on who could kill more. Oh well, must be the season. I was surprised at how big Paris was, but more surprised at the heat and humidity…wow. We didn’t turn our AC unit on when we went off to visit for the day and our tin can was 99 degrees inside when we got home – lesson learned. It took a couple of hours to cool it down since it was still hot as “you know what” outside, with humidity to match. The four of us, regardless of the heat, had a great time together. They raise chickens, many different breeds, so I had fun interacting with the friendly ones and trying hard to pet the baby chicks. It’s quite an operation and we left with a dozen of the freshest eggs you can have. I learned a lot about raising chickens and as much as I want them I’m thinking our traveling might put a hold on that adventure. They took us to Lake Hugo, in Oklahoma, a quick twenty minutes from there home. It has trailer camping, tent camping, and amazing cabins you can rent for a surprisingly low price. 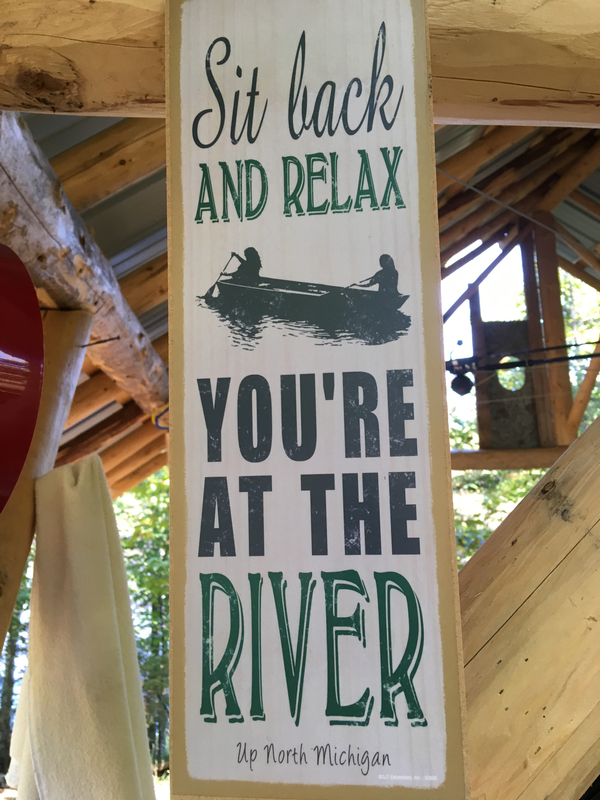 You can launch your boat and get some fishing in, or the guys can, while the land lovers such as myself enjoy a glass of wine on the balcony overlooking the lake. 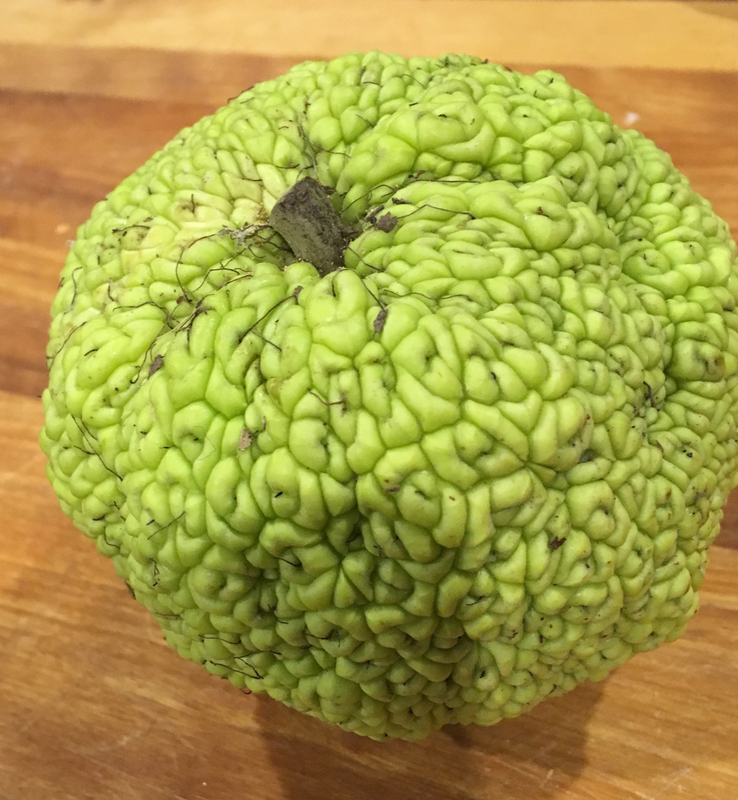 There were Hedge Apple trees. They are not eatable for people, but from what I’m told people cut them open, let them dry and carve faces in them…who knew!! 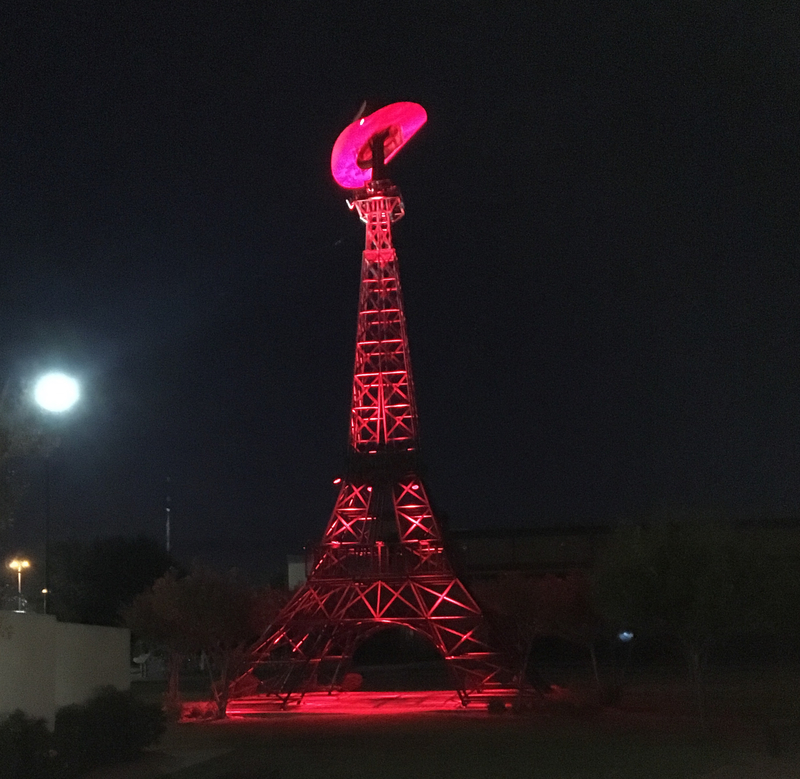 Another evening we went to see the Eiffel Tower – Paris, Texas style that is. And right next to the tower is an unforgettable military monument. 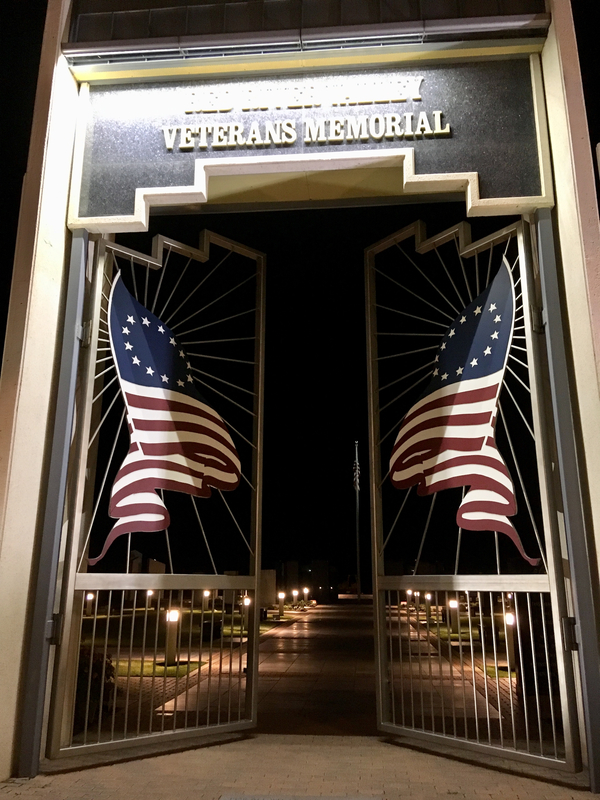 It is humbling and fills you with gratitude for the service men and women that keep our freedom a reality for us. We had a great time and now I can say I’ve been to Paris…hehehehe. Thank you, Ed and Micki, for sharing your time with us. It’s been just over a month since I flew into Green Bay, where Dan picked me up and we headed for Upper Michigan…Cornell (30 minutes outside of Escanaba) to be exact. After our mini-trip to Ohio I wrote about in my last blog, we have stayed on our property. 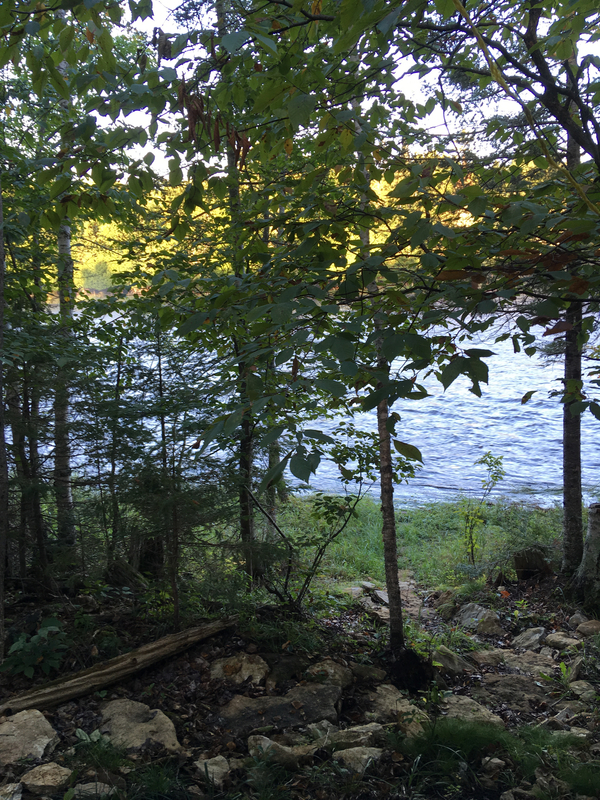 The property is on the Escanaba River, and pretty remote. We have no electricity, no water. We have a generator when we need to charge batteries, etc. 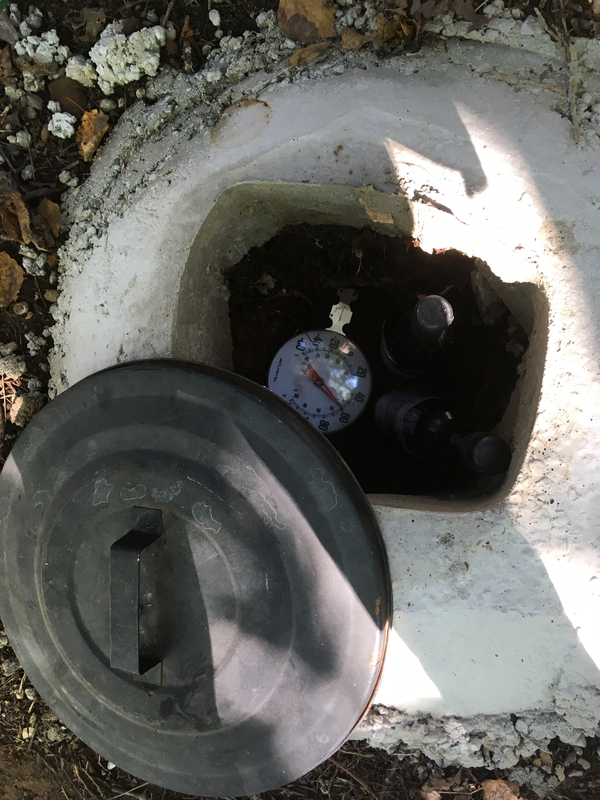 We haul water in four 30-gallon jugs from town. 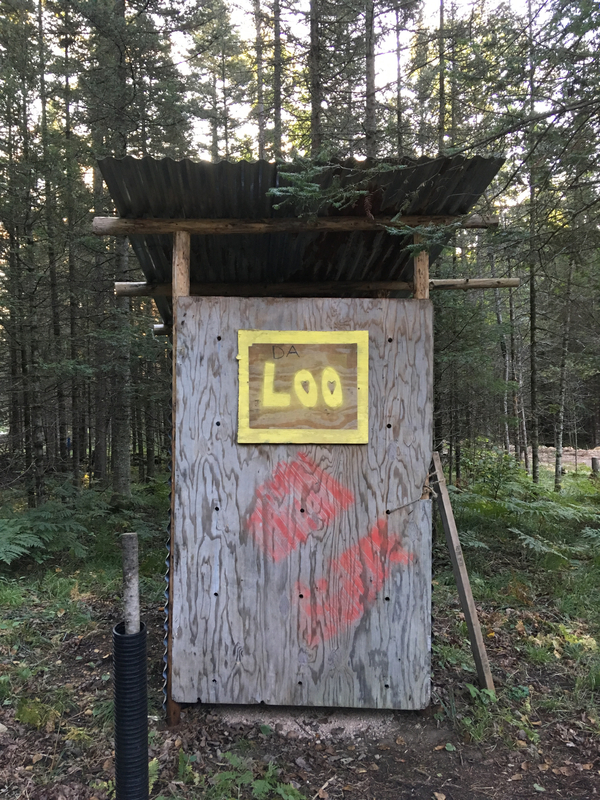 And we have an outhouse – lovingly named “Da Loo” for our other needs. 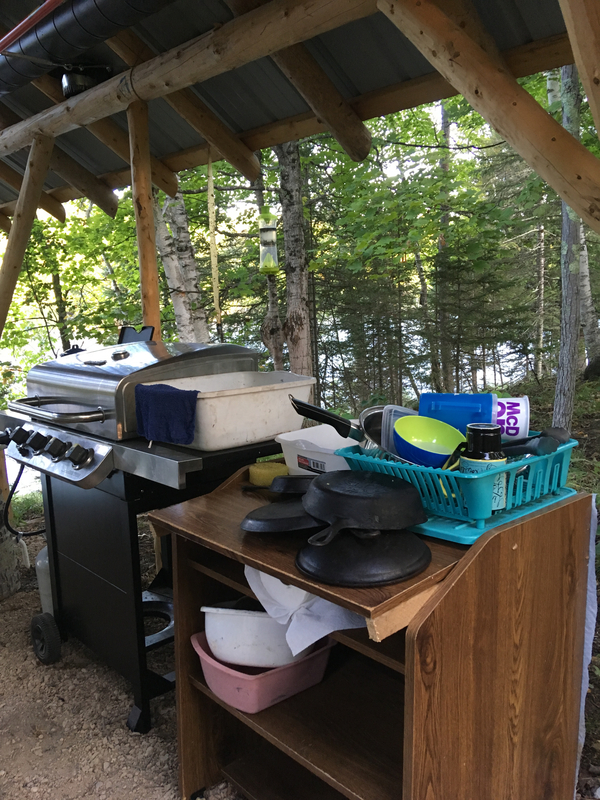 We have a mini-kitchen set up under the pavilion with our BQ and dishwashing station. The need for modern conveniences fades away when you sit by the river and listen to nature. When the sun is streaming through the trees, or an eagle flies overhead making his presence known with a call. Then there are the deer that visit us for cracked corn multiple times a day. They have become my babies…and thankfully our budget has included food to keep them fed and happy…life seems so simple. 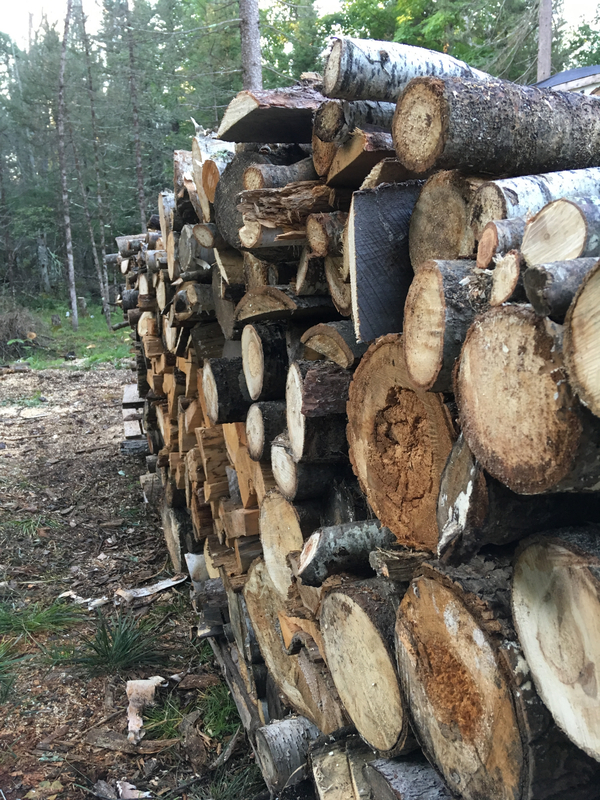 We’ve spent time working on projects…never ending grounds keeping, such as this beautiful stack of firewood, and the ground wine refrigerator Dan made for us keeping our wine at a perfect 60 degrees. Spending time with family (Dan’s side), and friends, some from the UP, and even a visit from friends that traveled from Colorado. We traveled north and enjoyed dinner out with Dan’s sister and husband, and both she and I got food poisoning…my first experience with it and hopefully my last. We went to the State Fair in Escanaba one weekend, and the Steam and Gas Engine Show in Escanaba another weekend. Dan and I also took an overnight trip to Copper Harbor. Then there are the evening drives just before dark to watch the deer roam and graze. Living off-grid like this isn’t a life I would choose year round…it gets cold in the winter, and the snow is unforgiving. It’s over 60 steps from the pavilion to the trailer, and another 40+ to the outhouse…so there is no lack of exercise here. Many mornings I could be found walking a mile down the road for a little exercise. But doing that in a couple feet of snow is not my idea of fun. In fact, the rain and thunderstorms are pretty intense, too, which can leave the property a bit muddy. The rain isn’t like the PNW rain. Here the raindrops are about the size of quarters…a slight exaggeration, not by much, mind you, but the sun shines most of the day drying out the ground once again. We had a storm come through one night that brought the river up by a foot, but we still have about six feet of the bank, so no flood concerns. However, it’s the privacy and quiet that sooth my soul and have become such a wonderful bonus. One benefit I will miss, especially, are the moments of having our morning coffee, or an evening glass of wine under the pavilion while enjoying the beautiful river view. Soon we’ll pull out and find our way along the trail of our adventure. Thank you to all our family and friends that took time out to visit, break bread, play cards, and drive to Rapid River just for ice cream. There has been a whole lot of laughing going on in the UP for over a month now. I’m excited to see where the road takes us but will miss the river property I have come to enjoy. This year Dan and I made it a priority to be in Medina, Ohio for the 4th Annual Nate Vermote Run to Freedom. Four years ago Nathan, my stepson, joined his best friend, Kurtis Tolley, to bring awareness in an attempt to end human trafficking. Nathan’s passion was felt deep in his heart in his fight to stop this heinous crime. Sadly, two months after his first very successful marathon event Nathan took his own life. 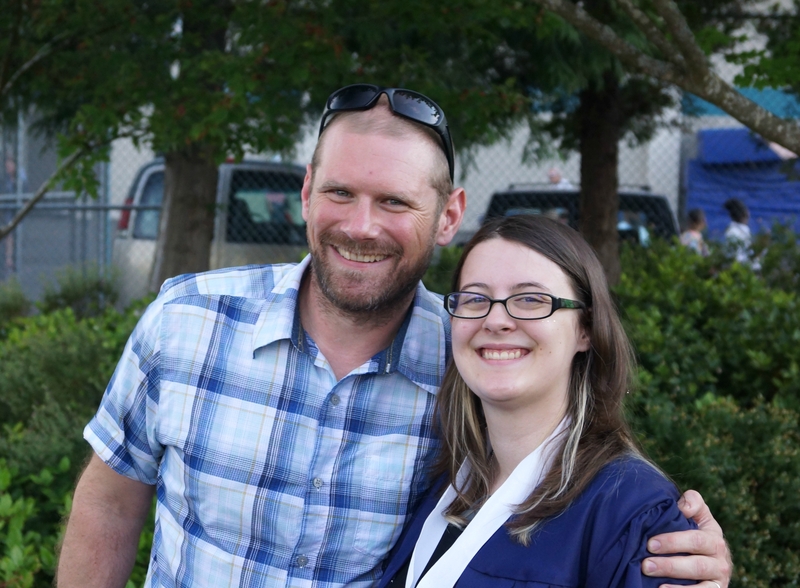 I’ve talked openly about Nate’s suicide in hopes the mark of devastation that is left for those that love Nathan will give people struggling with depression encouragement to seek help. or if you are old or young …this benefit is for everyone. As parents, we will do anything possible to keep our children safe, but this epidemic continues to be a problem. 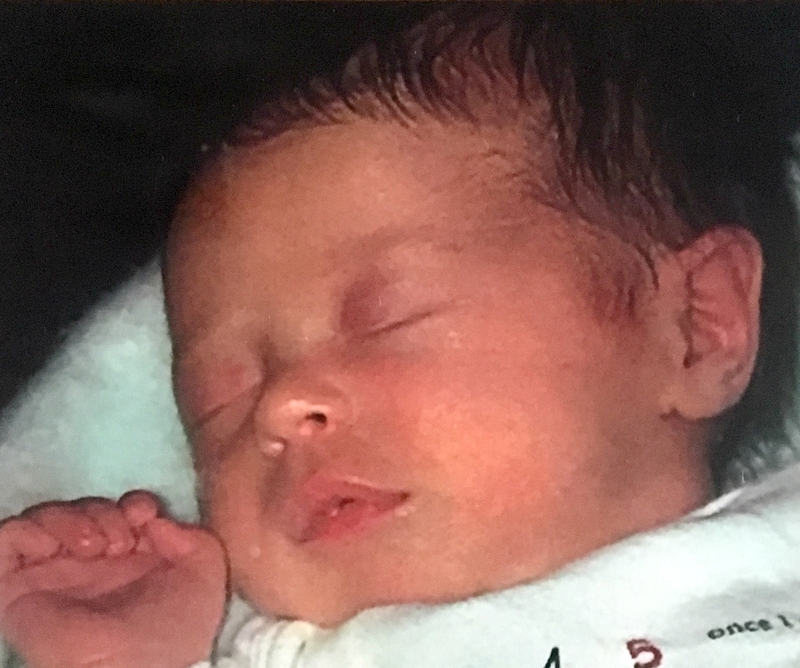 Anyone who has lost a child – there is no age limits to this crime – will attest to the pain and anguish they feel trying to get their child back. If they are lucky enough to see their child again it takes extreme counseling to undo the damage and that takes money. This event helps fund those needs. It takes a lot of work to put this event together, and a lot of people, but even at the end of a long morning you will see nothing but smiles. Dan and I hope to participate every year if we are able to be in the area. 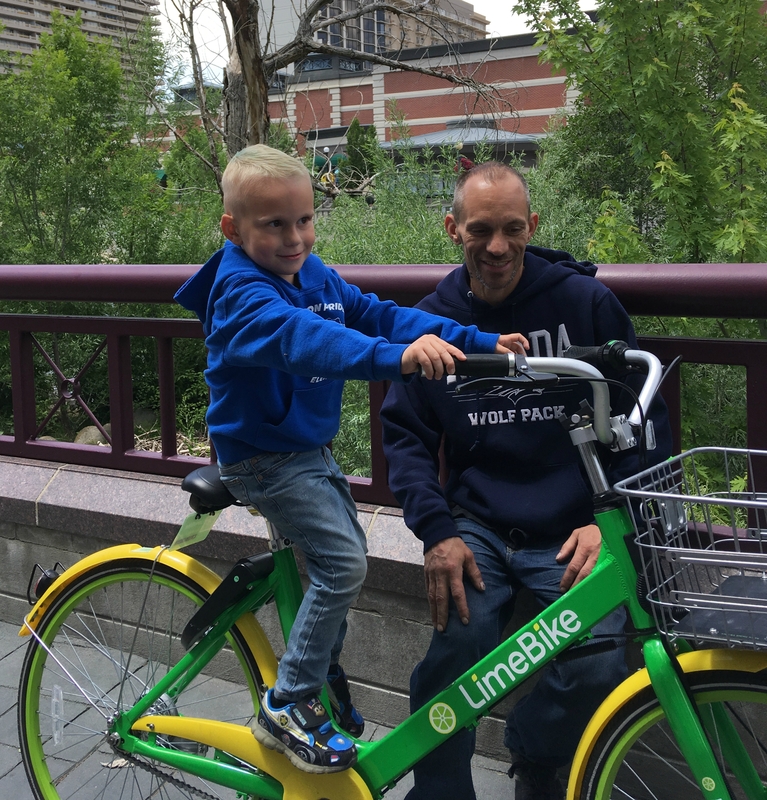 But if we can’t we will be there in our hearts – and I have no doubt Nathan is watching and is proud to be an inspiration to everyone in fighting this terrible crime. Thank you, Nathan and Kurtis, for starting this fight and letting us carry out your dream. Thank you Hermes Sports & Events for your hand in making this possible. Information is key, so I hope parents will take some time to research and apply suggestions that may help keep their children safe. I’ll admit I might find myself star struck if I had a chance to meet Sandra Bullock, J.A. Jance, or President Trump to name a few. But I was truthfully more excited to meet the Meierotto family from Alaska. I’m not a snow person, but I do have respect for the tough lifestyle of a lot of Alaskans live. Especially Marty Meierotto and his family from the History channels’ Mountain Man series. Dan and I have followed their life over the past six seasons. Marty is a trapper in Alaska and supports his wife and daughter with his trapper lifestyle. 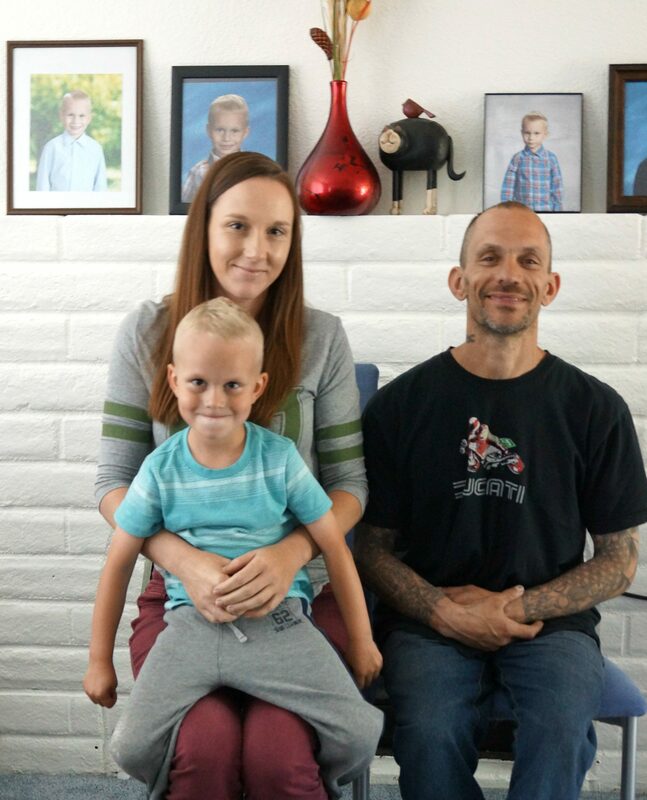 He’s the first to say this lifestyle has kept his family in financial ruins, but regardless, it’s a good life and he has a wonderful family to share it with. Dan and I had the pleasure of meeting and having dinner with this nice family during the National Trappers Association Convention in Escanaba, Michigan. Dan was born and raised in upper Michigan and has river property in Cornell. We worked out our schedule to be on the property when the convention was going on so we could enjoy this event. After dinner, Marty graciously did a Q&A for us. He answered questions ranging from how he was approached to do the show to what he ate for breakfast…which, as it turns out, are pancakes – every morning. As the story goes Marty wrote for a trappers magazine and was approached by a writer from Field and Stream who was interested in having him be featured on the Mountain Man show. From what I gleaned it wasn’t the quick “sure, I’d love to do a show” that the Field and Stream writer was hoping for, but an agreement was eventually made. Mainly because Marty was motivated to show trapping in a more positive light. He now has one to two cameras following him around a few weeks at a time during his trapping season. I may not have all of my facts down pat, but you get the idea. Marty flies a very small plane to his trapping areas. There have been moments watching the show that I was likely more nervous than Marty as he flew his plane in weather I wouldn’t even want to be walking in. Though when I hear Marty say “crap” I’ve wondered how that episode would end…but so far so good. He’s such an experienced pilot there is no doubt he knows what he’s doing, but Mother Nature sometimes tries to throw him curve balls that have made me close my eyes and hope for the best. There have been times on his snowmobile where he has found himself stranded in the snow and cold. And though he keeps extra parts and tools, it can be hours working in such cold conditions I can’t imagine tolerating. Of course, Marty has no choice but to push forward with any situation thrown his way. Dan, a lover of snow machines, asked which machine Marty preferred, his new one, or his old Tundra II – and as Dan suspected he likes his Tundra II over the newer model. Likely because he can strap the body of the machine under the belly of his plane, pack the rest inside, and fly his machine wherever he needs it. Originally from Wisconsin Marty still considers himself a “cheesehead.” Another fun fact is when I introduced myself to Marty, his wife, Dominique, and his daughter, Noah, I told them my name is CJ which was short for Cecily Jane, Noah smiled saying her middle name was Jane too. And Dominique said it was her mom’s middle name as well. A simple common threads that will always make me smile. Noah was two days shy of turning twelve the day of the dinner and was excited because her birthday present was a trip with her dad for her first Dall sheep hunt. Not what most twelve-year-olds I know would be excited about, but this is the lifestyle she is happy to learn while she is young and can carry through her life. According to the shows I watch Alaska is a lot about hunting, trapping, and surviving the brutal weather…and this young lady is ready to learn. Marty continued to answer questions ranging from how he traps wolverines to trapping martins, which are his bread and butter. This family came all the way from Alaska to share their life with us and did not accept a dime for there time. They are sweet, humble and kind people, regardless of having to live in the limelight. If you watch the show I can guarantee Marty’s laugh is as genuine off camera as it is on. What a treat it was for Dan and me to meet such a wonderful, down to earth family. To my surprise, after dinner, they had a prize drawing and I won a photo of Marty, Dominique, and Noah with Mt. McKinley in the background, which all three graciously autographed for me. Marty also gave us a personal autograph. It’s a memory we will treasure forever. Our travels have given us opportunities I never thought I’d have, and they just keep happening so I’ll keep capturing these memories as long as possible. Thank you for letting me share them with all of you. Wow…where has the time gone. After Sav’s graduation, Dan headed off to Michigan where I’ll meet up with him on the 23rd, so the Gypsy Tour became a man down. I stayed so I could scoop up more family time. 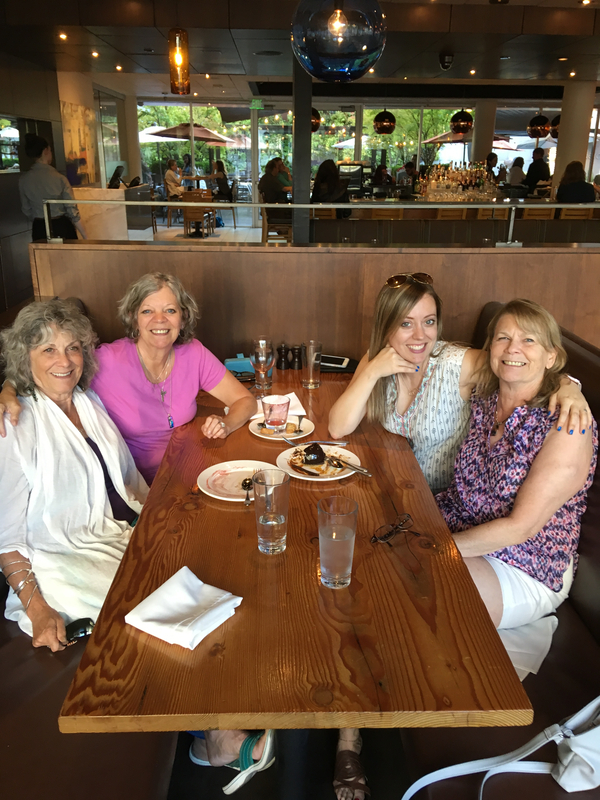 My daughter, Kristin, two of my sisters, and I headed off for Portland to enjoy the Portland Saturday Market. When we got to the hotel it was so loud we were struggling to hear the desk clerk. Found out we picked the weekend that the Waterfront Blues Festival was going on…right across the street from the hotel we were staying…yep, two events to fill our weekend. Friday night we were all pretty tired from our road travel so we opted to find a nice…quiet…restaurant and have dinner. It was worth the walk (which we needed after being in a car all day) to enjoy such fine cuisine. It was fabulous. From the wine to the dessert my palette was very happy. The next day was spent enjoying all the items the artists had on display. This is my second time visiting the Portland Saturday Market. I have such an appreciation for the heart and soul artists put into their craft. Everything from decorative wood boxes to some of the finest jewelry your eyes can take in. But the adventure didn’t stop there. 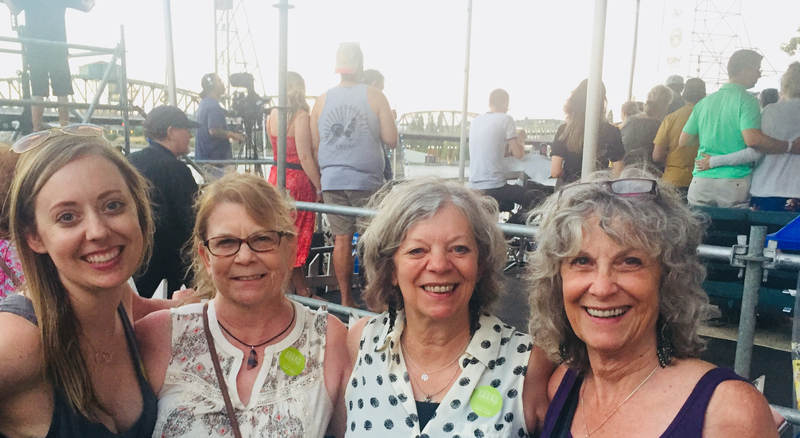 After a rest and another good dinner, Kristin treated us to the Waterfront Blues Festival so we were able to enjoy the experience first hand. What an amazing evening. I really enjoyed one of the blues singers, Ruthie Foster. Her voice and energy were so great I purchased two of her CD’s, which she autographed. 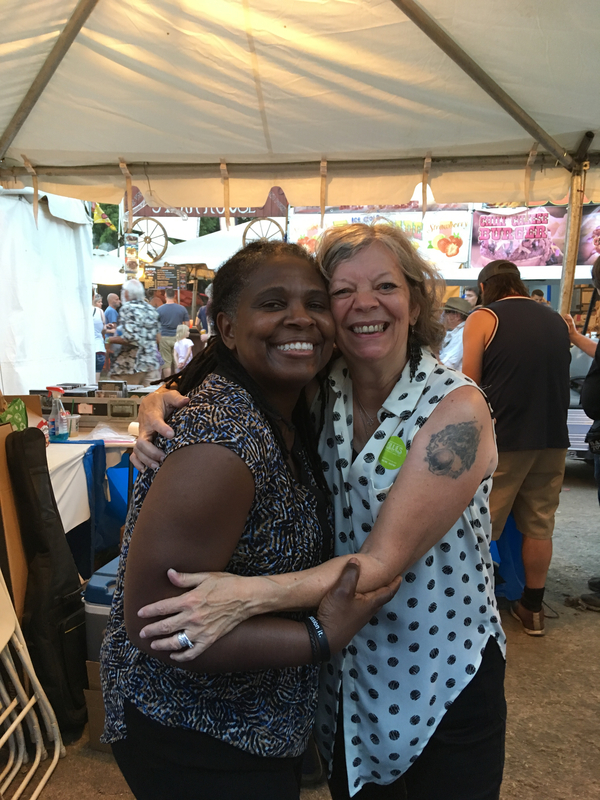 I decided to ask Ruthie Foster if she would take a picture with me, so here we are… – she was so humble and sweet. If you get a chance, look up her music and take a listen. After a full day Saturday…happy and exhausted we headed home Sunday morning back to Washington. It was an amazing weekend. Of course, when you are with such great ladies how could you not enjoy your time. The following Tuesday, my sister, Marianna, and I headed for Canada for a little more sister time. 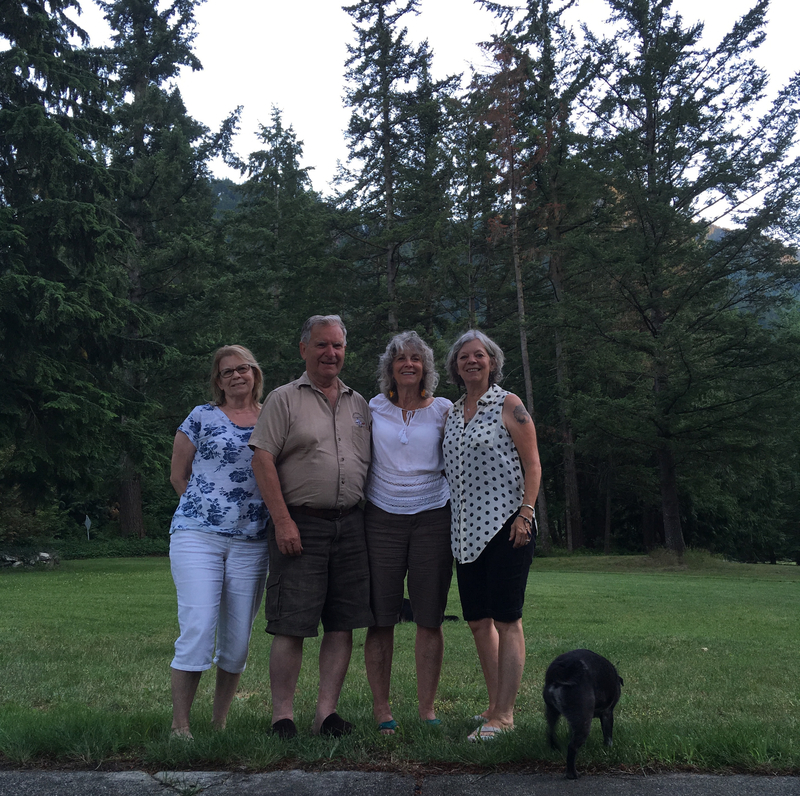 We spent two days in Chilliwack visiting our sister, Erica, and then on Thursday the three of us headed to Hope where we met Fred (Erica’s boyfriend). It was great getting to know Fred and to see life in the Hope area. 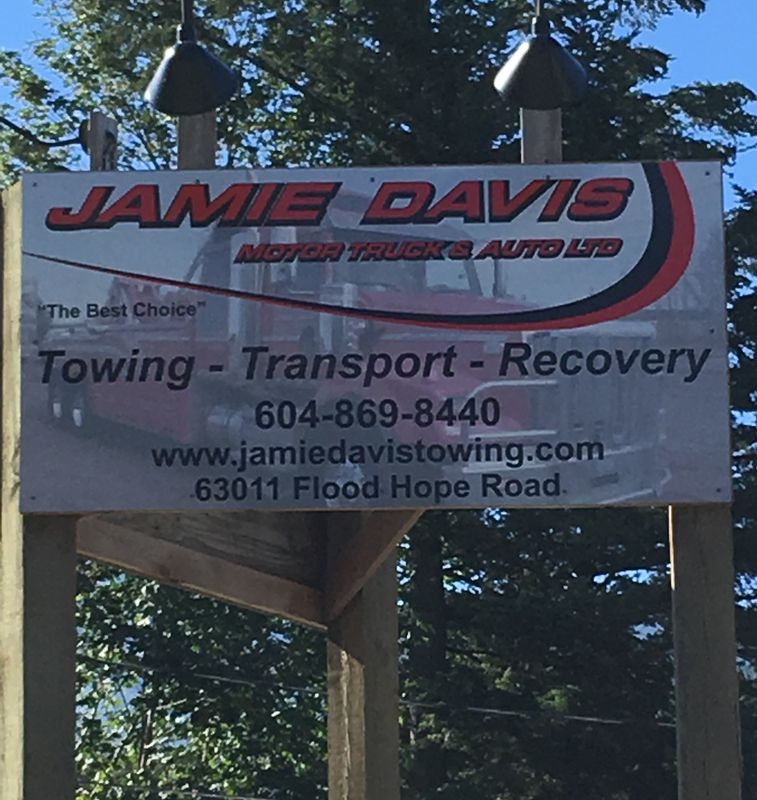 Low-and-behold, Jamie Davis, the owner of the towing company from Highway Thru Hell – one of my reality favs, is just down the road. And to top it off, Fred is the key person that was responsible for having Rambo filmed in the area. We ate lunch in the pub, Silver Chalice, where filming was done. The movie also featured the Othello Tunnels…yes, I’m wearing my “fan” hat right now…but, hey, it’s pretty cool…right? Today I spent a nice afternoon with my sister-in-law, Judy, niece, Amanda, and her new husband, Terry. Catching up on the post-wedding news and enjoying the peaceful river environment. My last week will be filled with busy times of visiting more friends and overnight stays at my sister’s…so it will continue to fly by as if time doesn’t know how to stand still…and I love every minute of it. I’ll be leaving on the 23rd, and will miss all my family and friends so much, but I’ll be off on another adventure with Dan so that is always a positive. A big thank you to everyone that made this home visit so special. I’ll be back in a few months. Until then…love to you all. Imagine it’s September 24, 1999. I’m at work and I get the call that my daughter, Kristin, is in labor and on her way to the hospital. Hours later…and I do mean hours…I get the honor of holding this little bundle in my arms. My granddaughter, Savannah. Unlike this photo, she was wide awake, not crying, just awake…and as I held her she studied me as I talked to her. It felt like I was being studied through the eyes of an old soul. Clearly, she was connecting my voice to my face. I knew she was special when I watched her organize the movies on the endcaps of the local Blockbusters – she was less than three at the time. Those early years of watching and enjoying her great imagination and her love for infomercials continue to make me smile. There were the times we’d be camping and using my walkie-talkies while we engaged in a sci-fi exchange. I loved playing into her made-up a world that others might not understand. Savannah has shown me two distinct sides of herself through the years. One that is so filled with imagination she is almost hard to keep up with – the other side so serious and insightful you would look to see if it was her speaking or some adult that had taken over her body. 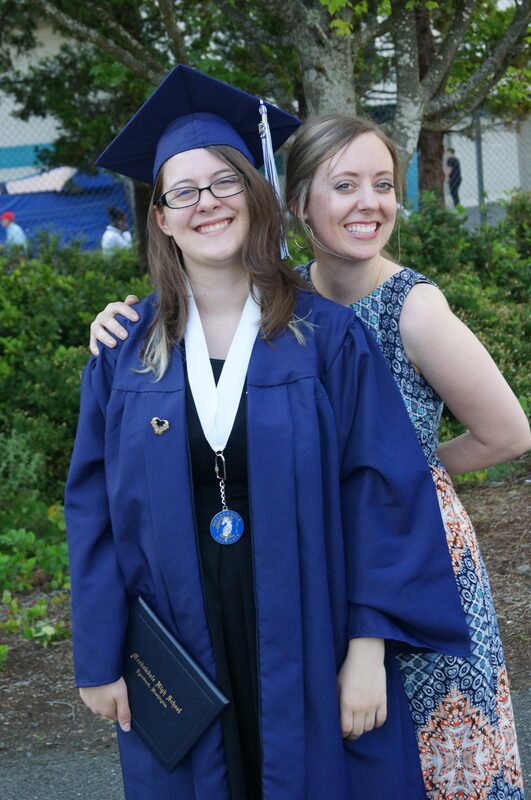 I remember driving her to daycare one morning when she was four-years-old. We drove along quietly, and then I hear from the back set, “Poor choices give the enemy power.” What child makes that connection at four? Or when she was five-years-old and she spends our travel time in the morning explaining how she had plans to create a fossil fuel from corn. It was way over my head, but she sure sounded like she had it figured out. It has always been as if she was an adult in a child’s body. As time went on, and with a lot of pleading to doctors and others by her mother, the right doctors diagnosed Sav with ADHD and autism. 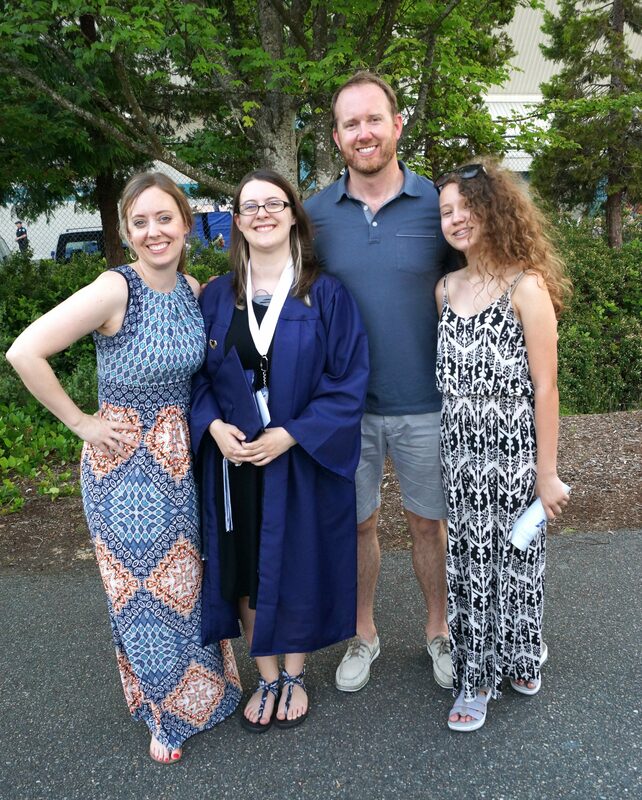 Because she is high-functioning autistic, Sav uses her voice to help bring awareness to others in order that they might understand autism and try to reduce the stigma attached. Savannah is an amazing, complexed, beautiful, and great young lady. But that greatness comes from a lot of hard work, and it equally fell on her mom’s shoulders. Kristin spent years educating herself while her daughter learned to work alongside the rest of the world. Kristin has always made sure she fought to get Savannah every opportunity for training, counseling, and any other tools Sav might need to be a success in life. Special-needs children take special tools, and none of it comes without frustration, time, patience, and determination…on both the child’s and the mom’s end, along with family’s love and support. And now, today, Savannah has become, and not surprisingly, a huge success in her life. Life, like a book, has many chapters. And as Savannah ends the chapter on her last year of high school, a new chapter will begin. Soon she will be on her way to college. I am beyond proud of all her accomplishments. Her intelligence (SAT score of 1210), her creativity that she transforms into amazing drawings, and her sweetness. Her striking blue eyes and dark brown hair with blonde tips peaking out here and there will light up a room. I know Eastern is going to be getting a wonderful student. One that will truly take learning seriously, and excitedly…well, as excitedly as learning can be…lol. However, this new chapter takes her away from what is familiar, and into the unknown. A huge step for any young person going off to college, but even more so for any level of autism. New sounds, new people, new food, new routines, new textures, and new smells…even down to the bed she will rest her head on every night. 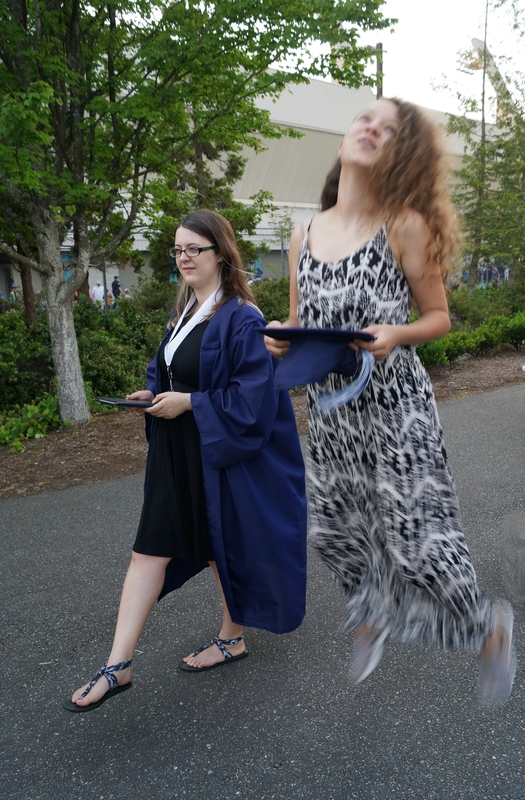 Though we are all so proud of her and excited for her next adventure…as you can see from her sister’s enthusiastic jump… and other family photos filled with smiles, she will be missed. She will no longer be hanging out on the couch binge-watching a show or having weekend DND (Dungeons and Dragons) marathons. My treasured memories of having her spend the night to binge-watch all the episodes of Big Bang Theory. Instead, she will add chapters to her book as she continues to grow emotionally, expand her knowledge, and venture into adulthood. In truth, Savannah has amazed me from her early years and continues to amaze me today…I have no doubt she will always leave me speechless and smiling at whatever she is accomplishing. 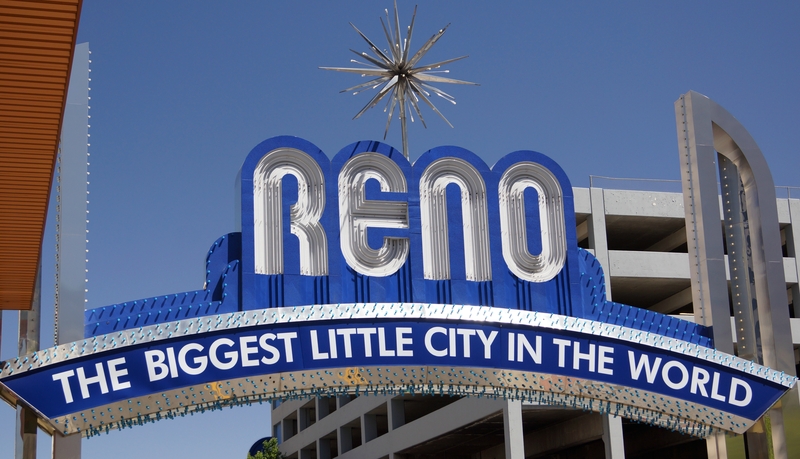 Ahhh…Reno, Nevada. The glitter and lights, the noise of coins as the machines go clink-clink-clink…but gambling was not our focus in Nevada. It was my son, Mikey, my daughter-in-law, Silver, and our four-year-old grandson, Cameron. Other than Skype or Facebook messaging, I haven’t seen my son and his family for four years. 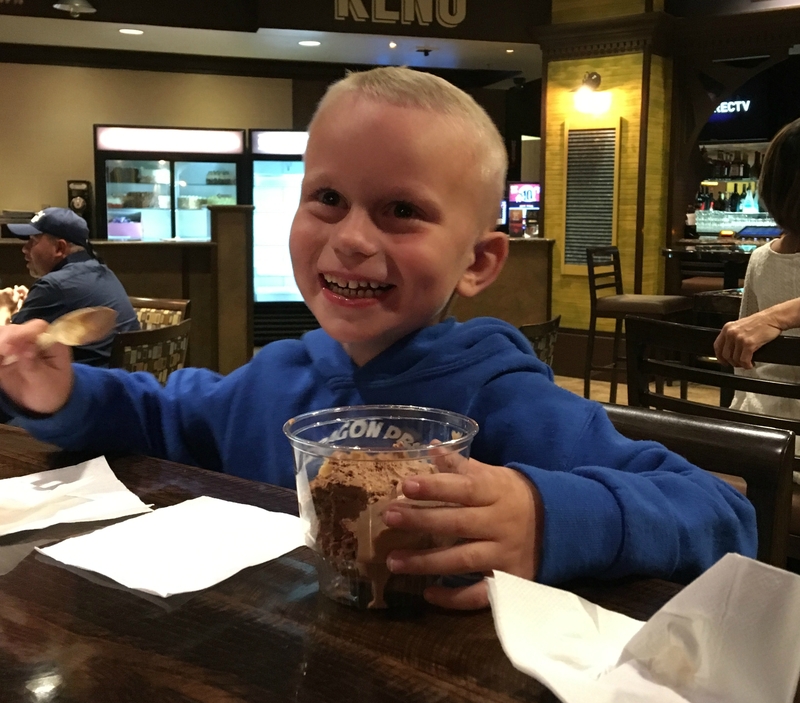 I’m sure you can imagine how it felt to wrap my arms around my Mikey, and then to hug his little guy, Cameron, the first night we were there in Reno. My daughter-in-law had to work, and with her schedule, we didn’t see her until Sunday. It was a whirlwind weekend, filled with laughter, and fun. When I looked into my grandson’s beautiful brown eyes, it was like looking into my son’s eyes. It’s the connection you feel that melts hearts together. 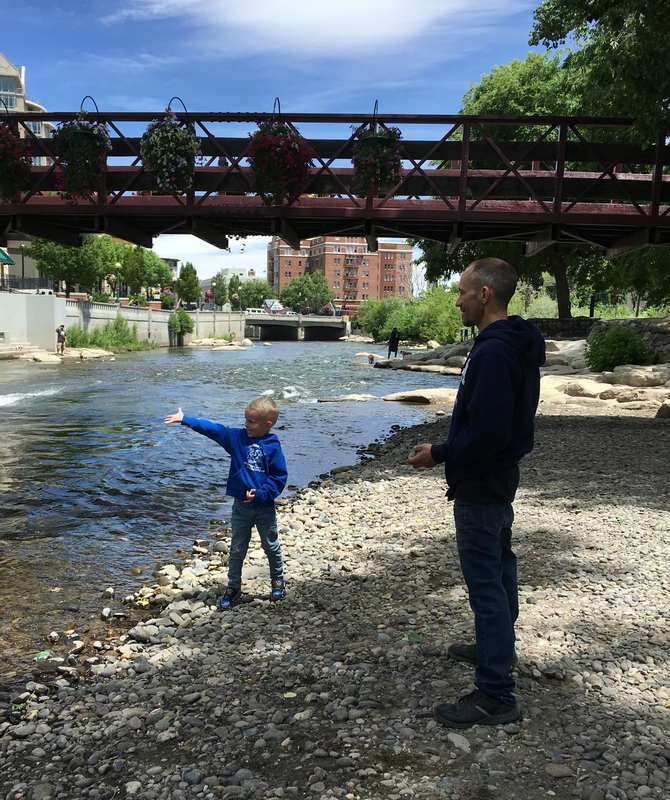 Over the weekend, we walked to the Truckee River with Cameron letting us know when it was safe to cross the street. He even stopped another lady from crossing before the light…safety always his first objective. We tossed rocks into the river, letting the simplicity of life engulf us. There were the bikes you could rent that Cameron was so excited to see every time. 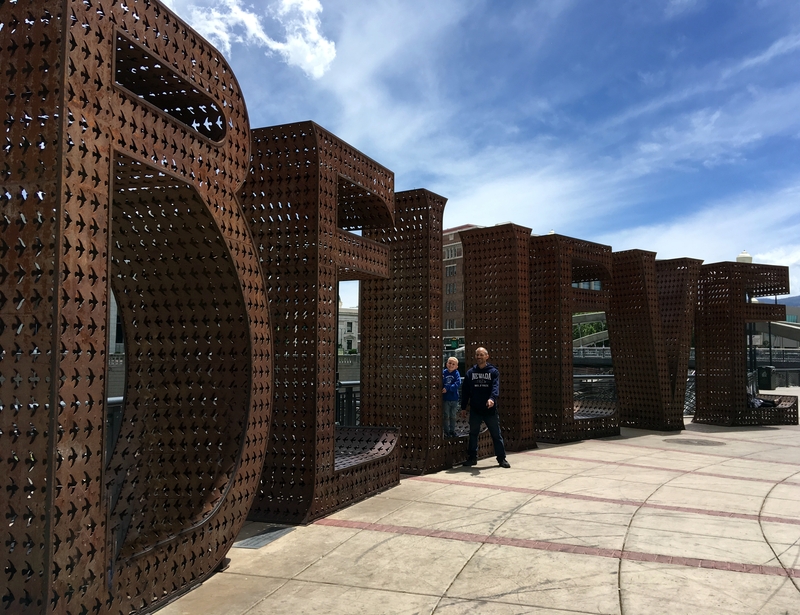 On Sunday we checked out of our hotel and spent the afternoon at their home outside of the hustle and bustle of Reno’s gambling world. It is, beyond words, difficult to leave my family with the knowledge that it could be a year before I see them again. But I can’t think about that now. All I can think about is the wonderful memories that fill my heart, and the smile on Cameron’s face when he looked at me with those eyes…eyes filled with so much love, happiness, and charming personality. Grampa Dan easily brought out his young innocent laugh that was so contagious and sweet. I miss them all already. To my son and family…I am blessed to be a part of your life. You make my heart so happy. You’ve made a beautiful family home. But it’s the happy child in Cameron that truly marks your love for your family. Cameron is a true joy and a wonderful reflection of the best of both of you. After many tears shed leaving Reno, we pushed through to Redmond, Oregon where we met up with friends we made in Kanab, Utah. Colleen and Mel were gracious enough to host a lunch for us as we enjoyed the view from their amazing home overlooking the river. It was fun catching up with the two of them and meeting their sweet daughter. 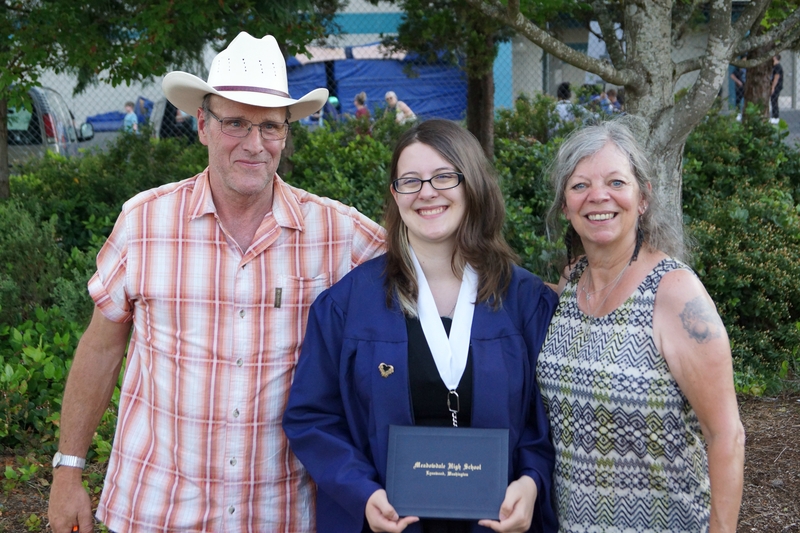 This is a family that is filled with artistic talent…be it writing, quilting, furniture making, or hot glass art. My intent is to have one of Mel’s pieces in my home someday. It was a great having time to enjoy their company. Colleen and Mel, you truly make your home a pleasure to visit and I hope next time will be longer. Next, Washington State (aka home), but that will be another blog all its own since it is a monumental event…stay tuned. But before I sign off, I want to add a well-known piece of advice…and that is to believe in yourself. Sometimes, we simply need a reminder that life is filled with possibilities. Mike and Cameron stand tall in this word. So, BELIEVE anything is possible. There are times you can’t avoid a situation that needs to be addressed. We were getting ready to leave Utah (which I loved) when Dan told me he was concerned about the injectors in the truck. Now, if Dan’s worried, it’s time to get on board with him. So, we had to make the tough decision. We could either continue west 500 miles to Reno to see my son and family or go 500 miles east and get the truck up to snuff for the rest of our travels this year. As much as I hated to do it, we made the sensible decision and postponed our Reno stop. If we don’t take care of our ride, well, the cost of towing a truck and travel trailer could put a lot of traveling on hold. Once we were back in Colorado, we pushed forward to have the truck checked out. Dan needed to change out a few things, but thankfully he’s got that mechanical talent. We also had some medical items to take care of…not fun, but having your driver, i.e. my husband, sick isn’t either. Needless to say, the amount of time in doctors offices, mechanic garages and auto shops has pretty much gobbled up this past month. The bad news is the truck, and my husband, are getting older…the good news is both are fixable. Just takes time, patience, and a whole lot of TLC. It wasn’t all “not-so-fun” stuff. I did get to spend some time with my favorite 8-year-old granddaughter, Ember. 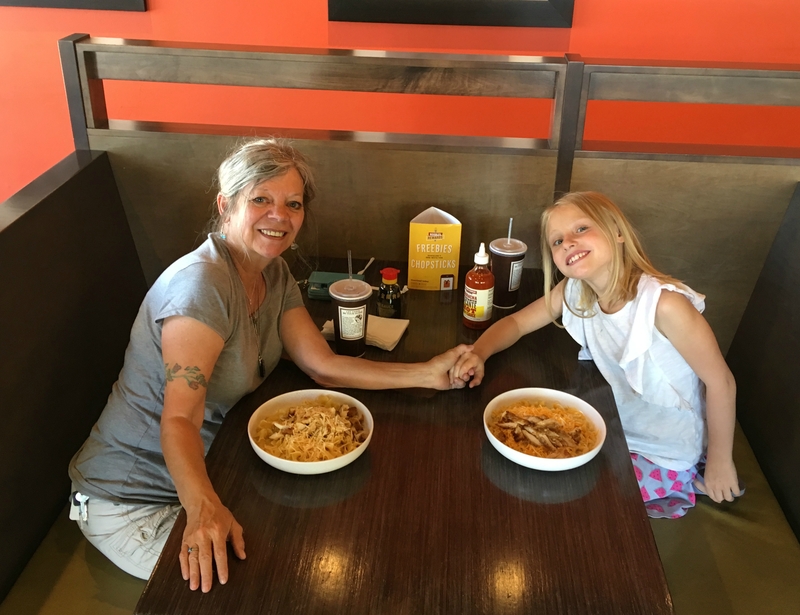 As luck would have it Noodles & Co. is also one of her favorite lunch spots. It didn’t take us long to agree on where to eat that day. The best way to get a little R&R from life’s little issues is to head for the mountains, and that is just what we did. 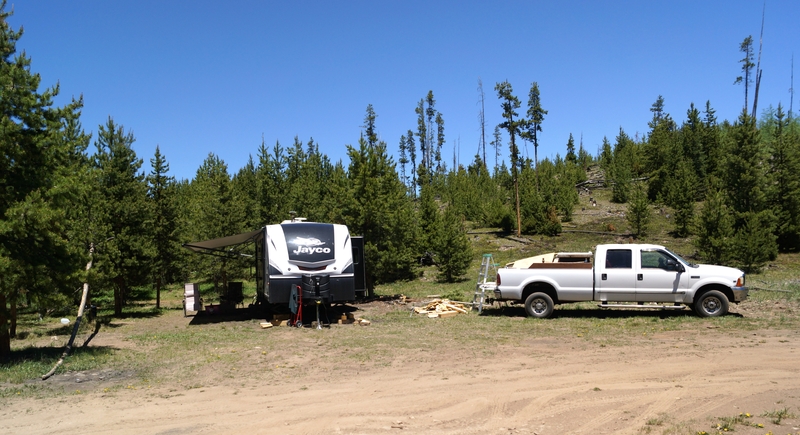 A few days at Henderson Mines in Clear Creek County, Colorado is just the place. The mine is a large underground molybdenum mine. I had to look it up, so here is what molybdenum is – “the chemical element of atomic number 42, a brittle silver-gray metal of the transition series, used in some alloy steels” – so there you have it. It is an old haunt of ours that Dan introduced me to when we got married. We’ve camped there in the summer, hunted there in the fall, and snowshoed there in the winter. Even our new road companion, Wally, loved the camping trip. Such a goof, he decided he not only wants to be a cowboy, but he needed a feather in his cap. Colorado feels like a second home to me. Between family and so many good friends, we stay very busy and love every minute of it. The weather keeps us indoors a lot right now because of the heat, but the evenings are cool enough to enjoy hanging out on the patio while you listen to the rumbling of thunder from the lighting that fills the sky. There has been a few really good soakings, but it turned what was brown and drab in April when we were here last to a lush green beautiful state. We will wrap up this trip with an evening of movie and dinner, our treat, for my stepdaughter, Shannon’s, 33rd birthday celebration. Then in the morning, we are heading west for a long-awaited visit with my son and family. I’ll post some shots from our camping trip over the weekend, too. Again, we didn’t get to see everyone, but we’ll be back through on our way to Michigan in July.